Should you be worried about ‘cracking’ your joints? – Pain. Health. Exercise. Should you be worried about ‘cracking’ your joints? 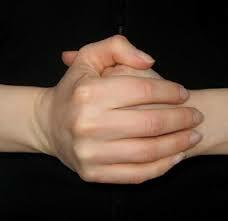 I was recently asked a question about ‘cracking’ the knuckles’ and the potential harm it may bring many years later. Most people I speak to believe that it can lead to arthritis, swollen joints in the future. Despite this belief, ‘cracking the joint’ is still a relatively common act people engage in for pleasure. This is a question I believe, has been left unanswered in the medical world for a very long time. So let’s explore what we know and what we don’t at this point of time. A new study from the University of Alberta suggests that when muscle joints are pulled apart there forms a tiny cavity filled with gas which then collapses, creating a popping noise. It takes a while for the gas to be re-dissolved in the slippery synovial fluid in the joints which explains why knuckles cannot be “re-cracked” immediately. 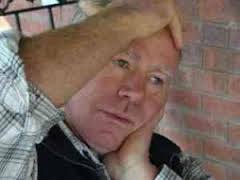 Does it cause ‘joint degeneration’? There is no evidence that cracking can lead to arthritis in future, however, one may be overzealous to over-stretch the joint to cause soft tissue swelling due to ligamentous strain. 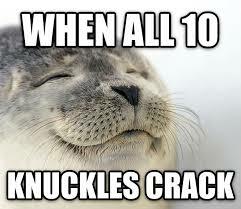 Why does cracking the joints feel pleasurable? 1) When you twist and crack your back, things about your spinal joints change. The immediate feel after cracking the back gives you relaxation of muscles, increases your joint flexibility. 2) In addition to the ‘pop’ sound, which people believe also has a placebo effect that something has ‘popped’ and ”loosened up’, many research studies conducted in animals and humans demonstrated that chemicals get released in the brain to create pain relief too (Sayya et al., 2014). These chemicals work on certain receptors in the body to produce a ‘top-down’ inhibitory mechanism of pain relief (green arrow). It reduces the magnitude of noxious messages (often loosely termed ‘pain’ signals) that gets sent up to the brain (red arrow). How safe is cracking your joints? Nothing more than a sore knuckle at worst. In 1996, Hurwitz and colleagues conducted this systematic review and it showed that, although the complication rate of neck manipulation is small (estimated to be between 5 and 10 per 10 million manipulations), the potential for adverse outcomes must be considered because of the possibility of permanent impairment or death (Hurwitz et al, 1996). Between 1995 – 2001, it shows that serious adverse events after cervical spine manipulation continue to be reported. Thirty-one case reports (42 individual cases) were found and most were treated by chiropractors. Arterial dissection causing stroke was reported in at least 18 cases (Ernst, 2002). 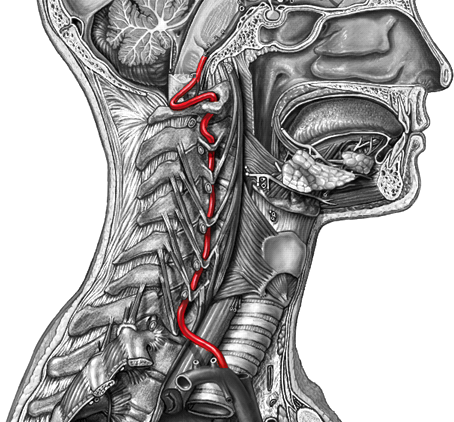 The vertebral artery located on the right side of your neck, which is commonly implicated in an arterial dissection, mostly results in a stroke. “In the interest of patient safety we should reconsider our policy towards the routine use of spinal manipulation” (Ernst, 2007). Between 1950 and 2015, only ten cases have been reported, with the most frequent adverse event reported was injury (mechanical or vascular) to the spinal cord (Puentedura & O’Grady, 2015). 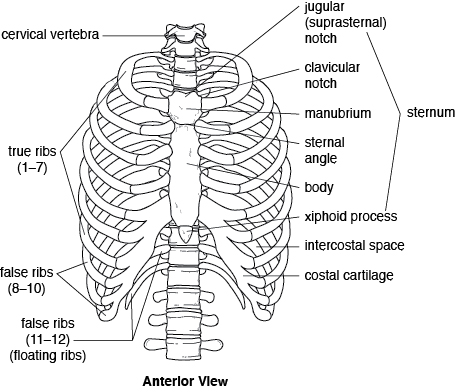 The thoracic spine is the stiffest part of the spine because it interconnects with the ribcage and sternum (breastbone) which further stabilises it like a continuous ring (below). To injure it requires a large force. This research paper suggests that excessive peak forces may have been applied to thoracic spine to cause such an injury. There are no specific research papers published on the adverse effects of low back manipulations at the moment. It seems that the risk of adverse events for the low back are relatively low and less dangerous compared to the upper spine (Ernst, 2007). Can we hurt ourself by the practice of ‘self-cracking’? Well, apparently, there is a case report of one person who sustained an artery dissection due to the frequent practice of ‘self-manipulation’ (Mosby and Duray, 2011). This article is the first and only paper published on harm of self-manipulation. Is joint manipulation effective for pain relief? Most research have agreed that it does, explaining the various proven mechanisms that provide pain relief, mostly occurring in the central nervous system (Savva et al., 2014). There is no evidence published that joints have been re-aligned or ‘put back into place’. Most claims were based on testimonials and case reports, which are the poorest level of evidence in medical research. However, risk of serious adverse events have to be taken into consideration. This is because adverse events sometimes result in permanent impairment or death. The risks and benefits have to be taken into serious consideration when you consider spinal manipulation, whereas cracking the knuckles is definitely very safe! I am a musculoskeletal physiotherapist trained in spinal manipulation. I perform manipulations in the thoracic and lumbar spine (with clients’ informed consent) as part of my holistic physiotherapy intervention plan. However, I never perform neck manipulations due to the known risks. Ernst E. Manipulation of the cervical spine: a systematic review of case reports of serious adverse events, 1995-2001. Med J Aust. 2002 Apr 15;176(8):376-80. Ernst E. Adverse effects of spinal manipulation: a systematic review. J R Soc Med. 2007 Jul;100(7):330-8. Hurwitz EL, Aker PD, Adams AH, Meeker WC, Shekelle PG. Manipulation and mobilization of the cervical spine. A systematic review of the literature. Spine (Phila Pa 1976). 1996 Aug 1;21(15):1746-59; discussion 1759-60. John S. Mosby, and Stephen M. Duray. Vertebral artery dissection in a patient practicing self-manipulation of the neck. J Chiropr Med. 2011 Dec; 10(4): 283–287. Kawchuk GN, Fryer J, Jaremko JL, Zeng H, Rowe L, Thompson R (2015) Real-Time Visualization of Joint Cavitation. PLoS ONE 10(4): e0119470. doi:10.1371/journal.pone.0119470. Puentedura EJ, O’Grady WH. Safety of thrust joint manipulation in the thoracic spine: a systematic review. J Man Manip Ther. 2015 Jul;23(3):154-61. Savva C, Giakas G, Efstathiou M. J Back Musculoskelet Rehabil. 2014;27(4):377-82. doi: 10.3233/BMR-140472. 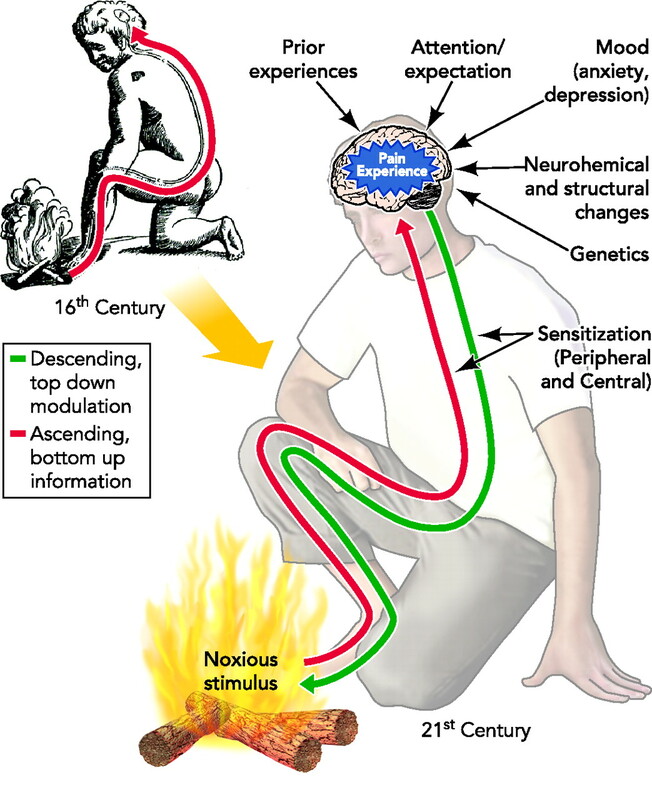 The role of the descending inhibitory pain mechanism in musculoskeletal pain following high-velocity, low amplitude thrust manipulation: a review of the literature. Next Post Should you see a physiotherapist after low back disc surgery? Presenting the evidence.